Who said that bronzer was only for those of the fairer persuasion? Bronzer can cure a world of evils for brown skinned beauties. Not only is bronzer your go-to for your “bronzed goddess look”, but a matte bronzer is a suitable stand-in for foundation. It’s the ideal subtle contour product. Bronzer wakes up skin, and with a dose of shimmer, makes even the laziest complexion come to life. 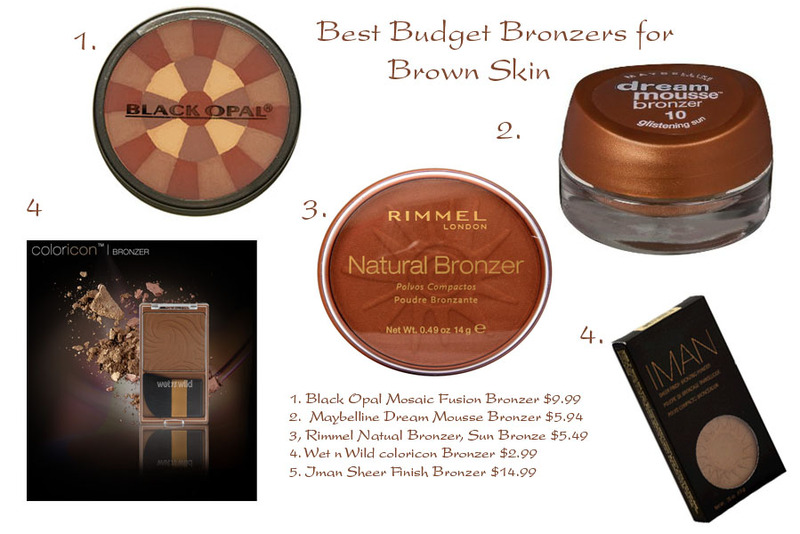 I have road tested my share of bronzers, and I have my picks for the best in budget bronzers. Apply bronzer where the sun would naturally hit — forehead, cheeks, nose. For contour use, apply bronzer around jawline and in on cheeks. Apply a pop of blush on top of bronzed cheeks for perfect color.